Hollylodge Thoroughbreds was established in 1998 and now our Hollylodge Mark 3 model is located on a beautiful 131 acre property alongside Hughes Creek at Avenel, Victoria. Located in the heart of the North East of Victoria (prime thoroughbred country) within easy reach to all major studs. Hollylodge is owned by Christine Mills and Daniel Nevill who is the Stud manager. Purposely built our Specialist Broodmare farm is fenced with all WHITE electric HORSERAIL fencing FOR SAFETY.. Our specially built Foaling Down yards are built with 5 ft high Kentucky mesh fences all electrified, and have a colourbond shelter in every yard along with floodlighting and NEWLY INSTALLED CCTV CAMERAS connected to the main house opposite, all mares are fitted with MAGIC BREED FOALING ALARMS as well. Our foaling yards and day spelling yards are also sown each year and are irrigated as well. We also have our own oxygen on site along with a broodmare Vet on our property. The newly built Avenel Equine Hospital is located just 5 mins away in the town of Avenel. With over 19 years of hands on experience in thoroughbred breeding the combined expertise of our team brings 24 hour care and support for our clients and their horses at Hollylodge. ATTENTION TO DETAIL is paramount for all mares and horses at Hollylodge. We offer a full service for the breeder from walking on your mare, foaling down, weaning, sales prep or organising breaking in for your yearlings. We also offer Racehorse spelling and Permanent year round agistment for your horses. Brand new Mare/foal vet crush and Roundyard plus 6 horse walker also in our facilities. Bookings now being taken for the 2016 breeding season. Daniel left his VCE year to come and work for the family business Hollylodge Thoroughbreds. He has learnt the business from the ground level right through to winning the 2011 Racing Vic/Tabcor Thoroughbred employee of the year not only winning his section but the overall 5 sections in voting. Daniel is an experienced stallion handler along with weanlings/yearlings and broodmares he also represents Hollylodge at all weanling/yearling sales around Australia. An expert at foaling down especially in difficult births he has brought many accolades on himself within the breeding industry through sheer hard work and hands on experience. 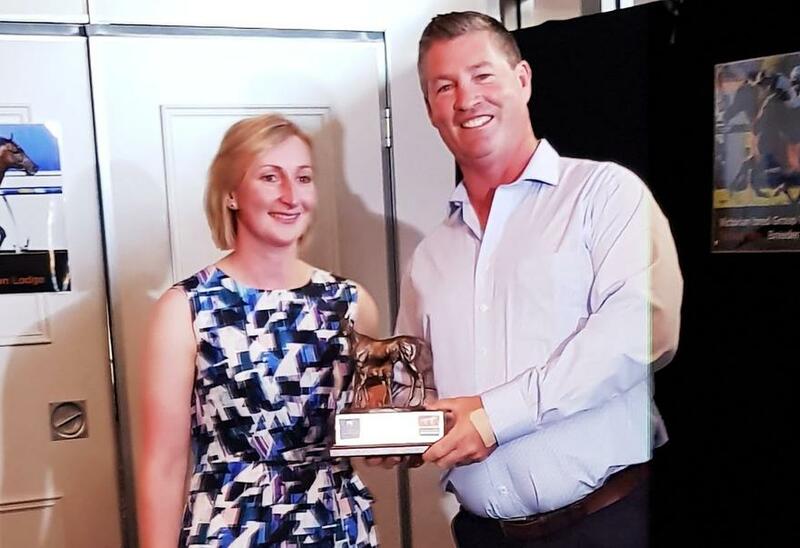 In 2015 Daniel was awarded the North East Thoroughbreds "Young Achievers Award" for his dedication to the breeding industry in the North East of Victoria. Daniel has taken over the ownership of Hollylodge Thoroughbreds as from Nov 1st 2016. He can be contacted on 0424001016. Hollylodge Thoroughbreds was initially established in 1998 at Kyneton. Christine is in charge of all marketing, for Hollylodge Thoroughbreds the business and also holds a completion certificate in Financial Management for School Personnel, Deakin Uni 1996 and Certificate 3 in Racing (Advanced Stablehand) 2008. A brand NEW E (Electronic) Book has been in the making for the past 5 years and is now available for download and purchase on the web at www.breedawinningracehorse.com personally written from experience by Chris the book is a very easy to read guide from purchasing a property every step of the way to racing and syndicating your first horse. A great read for the newcomer to the thoroughbred breeding industry. Lauren Hosking came to Hollylodge in 2015 from being a student at NCEE at Wangaratta to doing work experience at Hollylodge. Lauren completed her work exxperience in weanling sales went on to work the 2016 breeding season at Hollylodge and has attended all sales (yearling) in 2016. Lauren has been full time with Hollylodge since March 2016 she brings a sunny personality to the farm and her work attitude is impeccable and very thorough will alll the horses under her control. Prior to Hollylodge Lauren has also done work experience with other notable studs where she has picked up a wealth of knowledge of our industry and with her on the job training by Hollylodge has accomplished a lot in her time in our industry to date. Dr Katie Wilcox is our Hollylodge Broodmare vet, she is now a partner in and heads the team at Avenel Equine Hospital just 5 mins from Hollylodge. Katie came from Scone Equine Hospital to Avenel in 2015 and did her first season with Hollylodge in the same year. She brings a wealth of experience with her to our farm and through her veterinary work during breeding season we accomplished a very high rate of mares in foal from outside coverings on our farm. Katie also lives on the farm at Hollylodge which is a big bonus having a vet on site 24 hours a day. Hollylodge has been lucky to have the services of world renowned broodmare vet Dr Terry Lowis and Associates of S & S Vets located just 5 kilometers away from Hollylodge at Avenel since 2002 servicing our farm. With the continued support of our vets we have achieved over the years a very high strike rate with our stallions fertility and breeding mares with excellent numbers in foal. UPDATE - In 2015 Scone Equine Hospital have joined forces to form the Avenel Equine Hospital situated 5 mins from our farm and located right in the heart of the North East Breeding Capital of Victoria at Avenel. Our vets play a huge role in supporting Hollylodge every breeding season producing the best results for our clients. 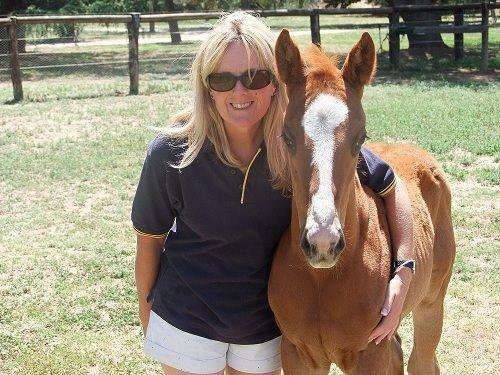 In 2015 Dr Katie Wilcox became the Hollylodge broodmare vet and brings to our farm many years of experience in the Hunter Valley and Scone Equine hospital. 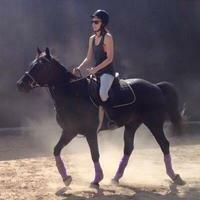 Katie heads the team of vets from Avenel Equine Hospital that service the North East thoroughbred breeding area. 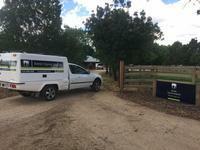 Avenel Equine Hospital are one of the major sponsors of Thorougbred Breeders Victoria.